A wonderful technique that uses the memory and fingers. It is easy, fun, accurate and can be faster than using a calculator. Helps students reinforce their basic computational and mental mathematics skills and counting drills. Helps students with short attention spans, enhances self-esteem and boosts morale of students weak in mathematics. Through the use of both hands, the programme stimulates the development of the whole brain, as the left hand trains the use of the right brain and vice versa. As such, it improves the memory and thinking skills of the brain. The training process helps to improve the brain's memory ability and increases the reflexes ability. From visual memory, listening memory, linking memory, action memory, impression memory, comprehension memory to long term memory and accuracy. During the learning process, the use of the fingers will develop the physical imaging thinking skills; whereas the use of numbers develops the abstract thinking skills. The combined use of both hands and both sides of the brain will help in training the spatial thinking ability, logical thinking skills and increase student's ability in understanding and analysing information. Furthermore, it helps to improve a student's concentration skills, which in turn will help to improve their results too. The programme encompasses the concept of muti-intelligence training in the development of its programmes. Using games, stories, music, it trains students’ language ability, coordination of the senses, spatial knowledge, mathematical logic, etc. 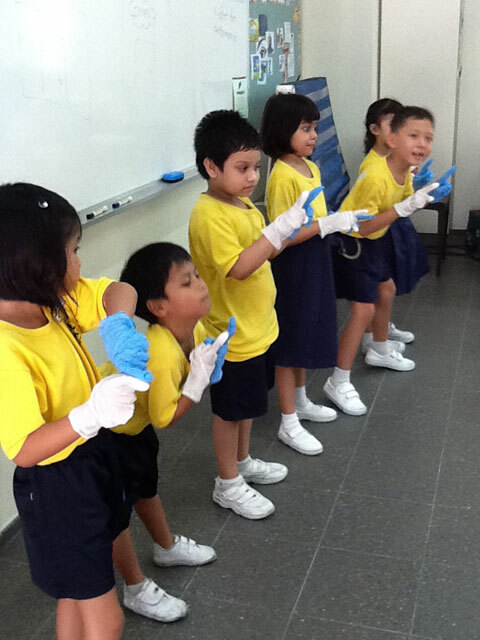 It also helps to build students’ observation, imaginative, creativity and problem solving skills. 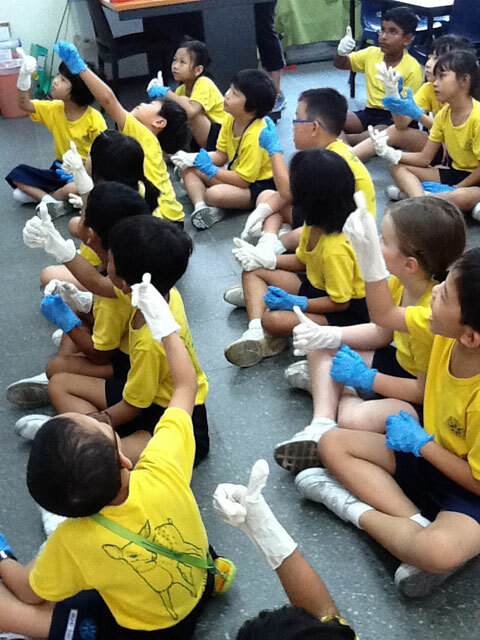 Using different coloured gloves to represent tens place and ones place! It helps to cultivate a student’s pro-activeness in learning, confidence building and encourages independent thinking and creativeness in other fields of study as well.